White Chocolate Buttercream is the perfect frosting for cakes and cupcakes! The smooth flavour of white chocolate elevates this to something beyond a traditional vanilla frosting. 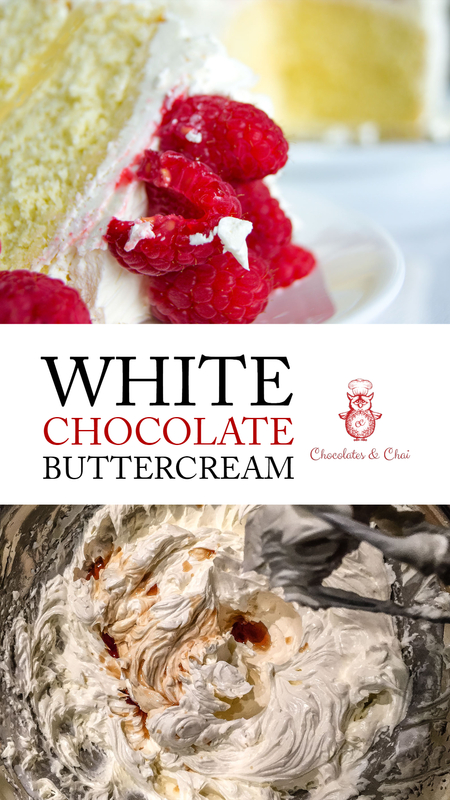 And to make this even more special, this is a white chocolate Swiss meringue buttercream recipe (don’t worry, bestie…it sounds fancy, but it’s still easy to make!). I’m not a huge fan of white chocolate. I mean, don’t get me wrong. It’s not the worst thing in the world. It’s just not chocolate. It’s an imposter. However, it can be a very tasty impostor, especially when mixed with other complimentary flavours. Compared to your standard vanilla frosting, the addition of white chocolate adds a creamy, almost caramel-like flavour to your frosting. I personally find this recipe to be less tooth-achingly sweet than most vanilla frostings. Texture-wise, it’s smoother (and silkier too, if it’s made with the Swiss Meringue method), and just as easy to work with when decorating cakes. 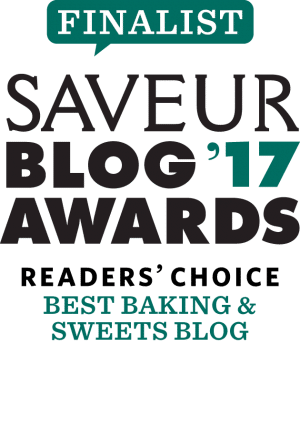 So…what is Swiss Meringue Buttercream? 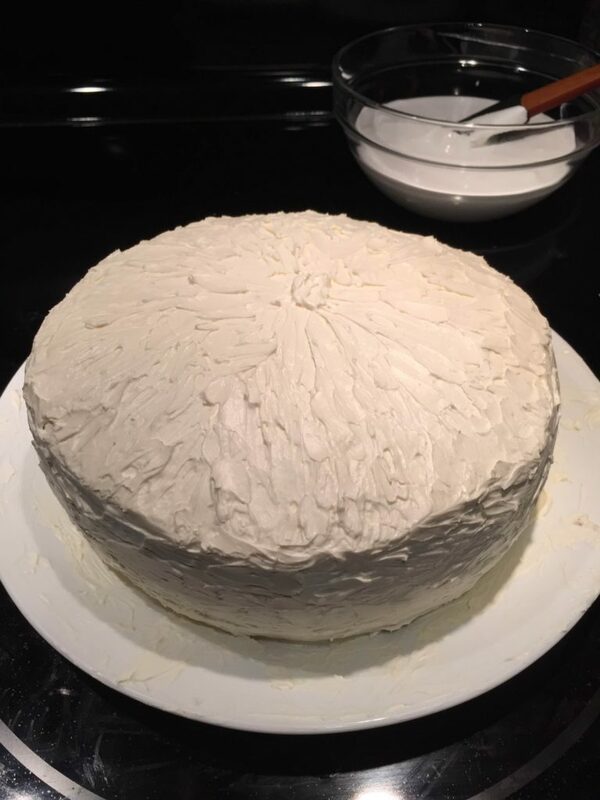 This White Chocolate Swiss Meringue Buttercream is rather wonderful, and while I’d like to give all the credit to the white chocolate, a lot of the credit has to go to the Swiss Meringue Buttercream part of it. 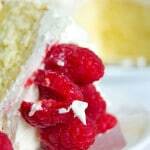 Of course, that begs the question – what exactly is Swiss meringue buttercream? 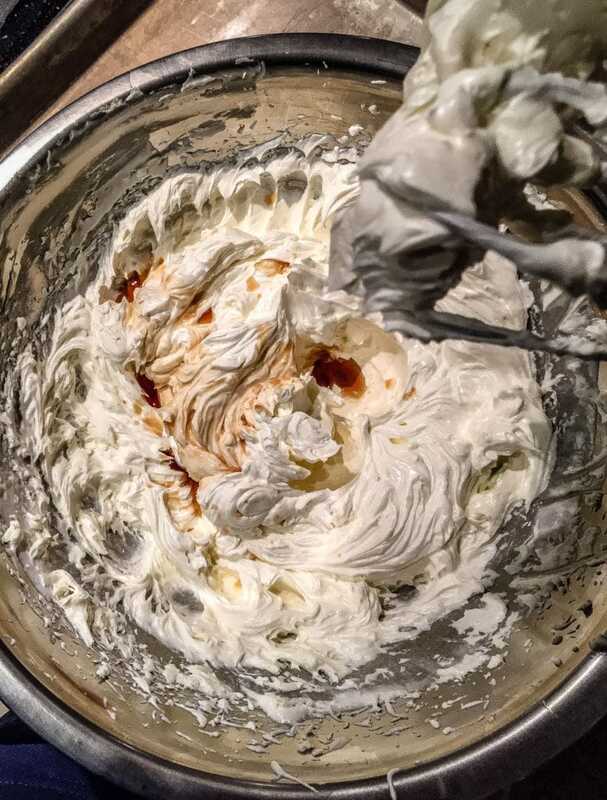 Well, it’s made by whipping together egg whites and sugar over a bain marie until they reach 140 degrees F. Following this, they are whipping into shiny fluffy peaks, at which point flavours are added (in this case white chocolate). The result is a smoother, silkier, and typically less sweet frosting when compared to your standard American buttercream. 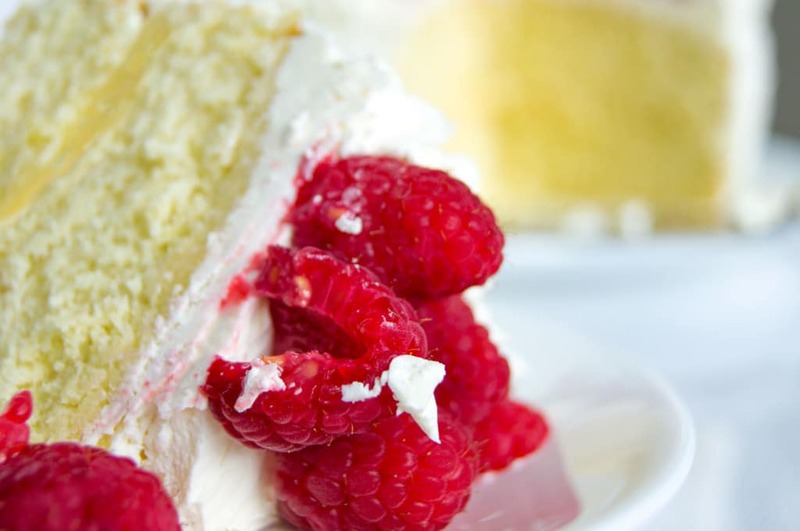 Now, there are also French and Italian meringue buttercream methods. But we’ll talk about those another day. The following are affiliate links. If you buy something through one of these links, I will receive a small commission. This will not increase the price for you in any way, but it’ll help keep my lights on! Thank you, bestie. You’re wonderful! 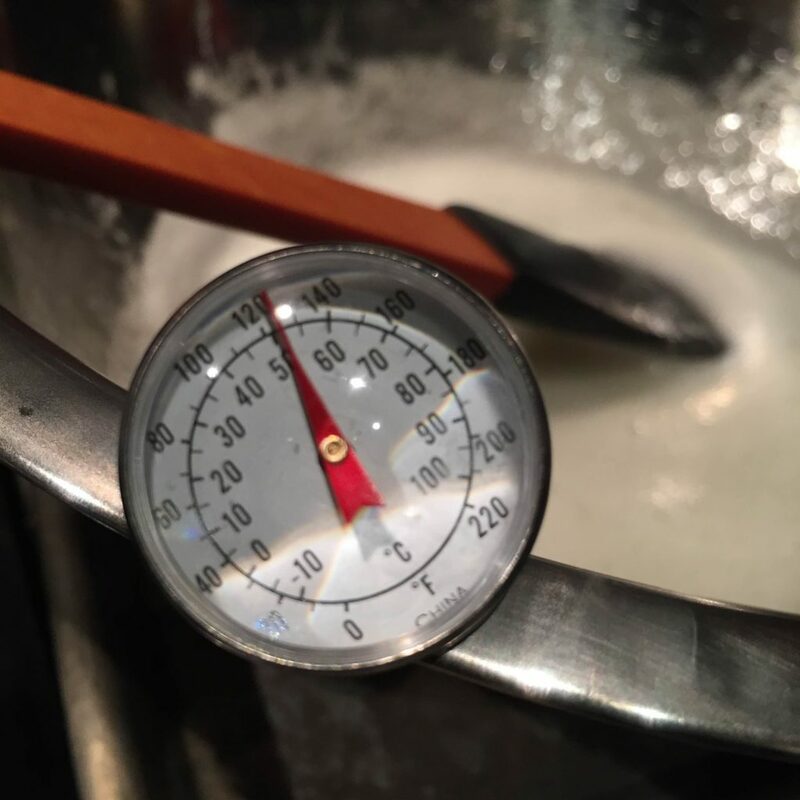 Splash-Proof Dual Temperature Thermometer – temperature matters in this recipe. You’re going to want a reliable cooking thermometer to make sure everything goes smoothly! Kitchen Aid Hand Mixer – this is actually an invaluable kitchen tool. I use my hand mixer for exactly one gazillion things. And it makes them all quicker and easier! Cake Decorating Set – Just something to make your frosting look that much prettier! What’s your favourite kind of frosting? 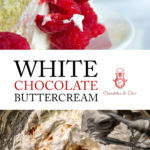 I’d like to make this post quite comprehensive (at least as far as a White Chocolate Buttercream resource goes! ), so let me know in the comments if you have any questions! And if you want to hear from me more often, follow me on Facebook, Pinterest, Instagram and Twitter. Or just sign up to be a part of my mailing list. That way you’ll hear from me whenever I have an update! This White Chocolate Buttercream frosting recipe results in a delicious and creamy, frosting that’s perfect for cakes and cupcakes! It’s great for piping, or just smearing on “rustic-style”. I am not a fan of frosting/icing but this looks tremendously good and I like that it is less sweet than the usual vanilla frosting. It’s also good to have a trusted recipe like this in case I decide to undertake the frosting challenge 🙂 .Pinned and yummed! Thanks Nicoletta! I’m actually not generally a huge fan of icing, because I tend to find it too sweet. That’s one of the things I like about this recipe! Thanks Denise, Swiss Buttercream is my favourite type of buttercream to make too. It’s just the right mix of easy to do and delicious results! Thanks Jo! I hope you enjoy it!! I made this cake! Very delicious! Thank you! Hi Regina! So glad to hear you enjoyed it! And thank you for trying out my recipe! Thanks Ravi! I hope you enjoy it!